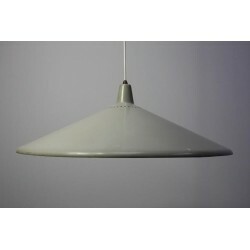 Vintage metal hanging lamp in grey. The lamp has one lichtpoint, which shines down. 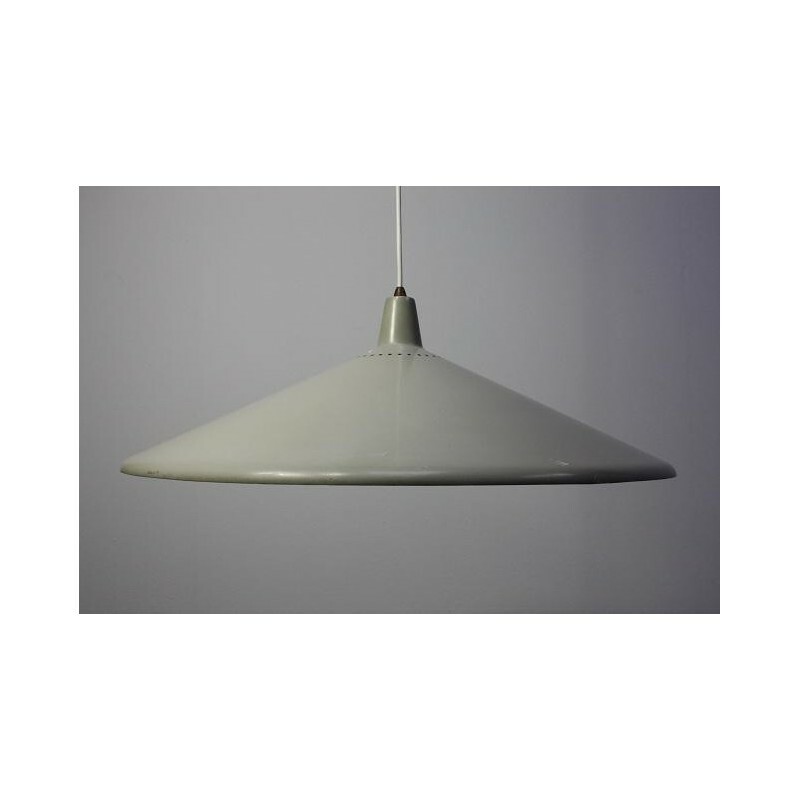 The lamp has a diameter of 56 cm and is 20 cm in height. The lamp is in a good condition for it's age.